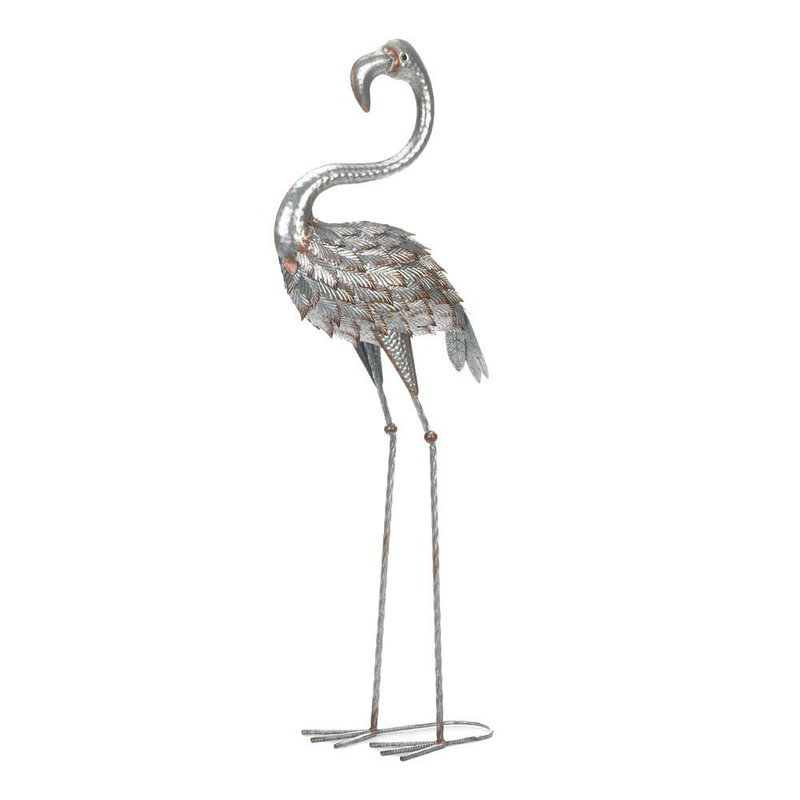 Liven up your indoor or outdoor space with this galvanized flamingo statue. The figurine Is made from solid iron and features textured feathers and gorgeous detailing throughout. 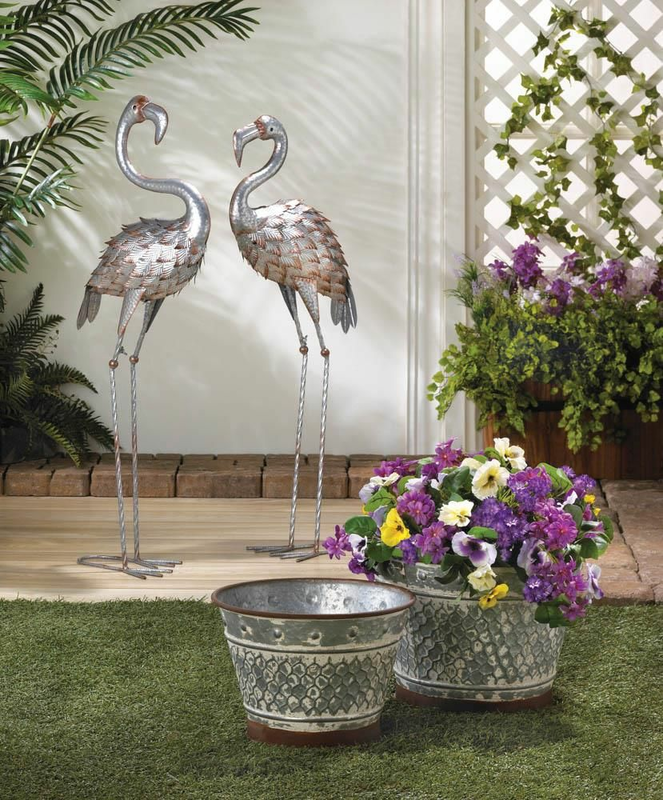 The ideal Spring and Summer decor piece, this flamingo statue will add a fun touch to any space. Weight	2.4 pounds. 13" x 8" x 38". Iron. 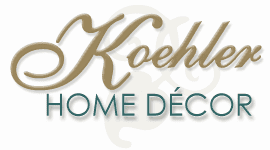 UPC Number: 849179040598.